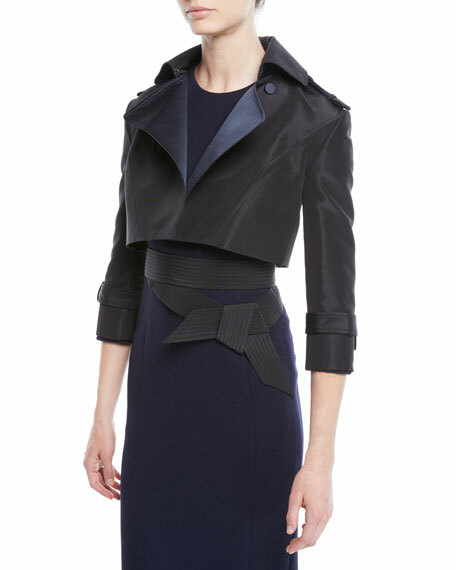 Atelier Caito for Herve Pierre moto jacket in silk faille and satin duchess. A.L.C. 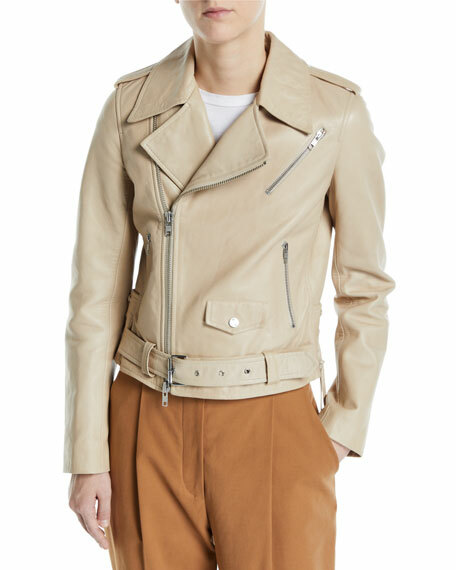 "Dree" moto jacket in goatskin leather. Notched lapels; off-center zip front. Long sleeves; zipper cuffs. Chest zip pocket; flap pocket. Side zipper pockets. Relaxed fit. Belted hem. Imported. 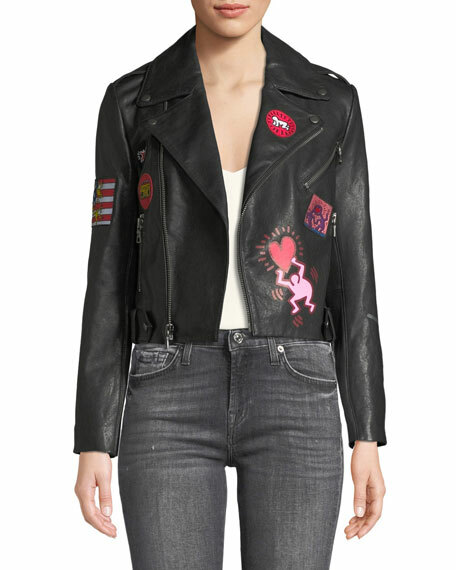 Blanc Noir moto jacket in French terry with quilted panels. 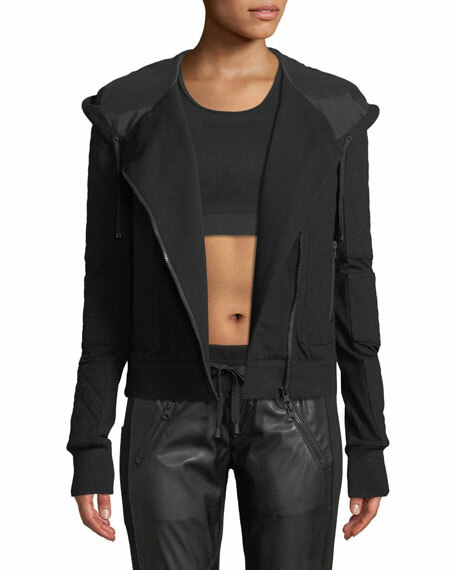 Hooded neckline; asymmetric front zip. Long sleeves. Side zip pockets. Lace-up details at back. 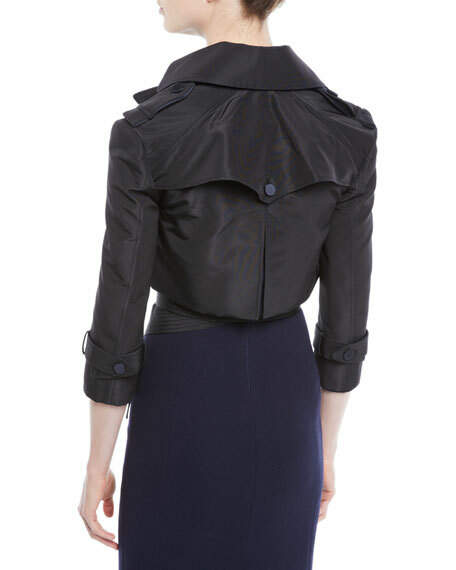 Semi-fitted silhouette. Cotton/spandex; polyester filling. Imported.